For the first time in its 80 year history Jaguar has sold over 100,000 cars in a year. Jaguar's Managing Director Mike Beasley announced the company's fourth successive year of record sales when he unveiled the new Jaguar S-Type range at the Los Angeles Motor Show on Thursday. "During a very competitive year for premium car sales, and in an increasingly uncertain economic environment, I am delighted to announce yet another sales record for Jaguar," said Mike Beasley. "During 2001 we sold 100,770 cars in our markets around the world. The new X-Type has been a major factor in our sales success. Over 30,000 X-Types have been sold since its mid year launch and the sales rate accelerated as the new car became available in our markets around the world during the second half of the year." 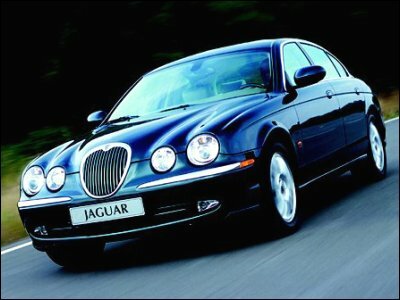 In Jaguar's biggest global market, the United States, the company sold a record 44,532 cars during 2001. Sales in the United Kingdom totalled 22,120 cars, another new sales record for Jaguar and an increase of 47 per cent over 2000. Record sales were also achieved in continental Europe and other overseas markets. In the UK Jaguar has sold just under 10,000 X-Types since its launch in May last year. Initially available with 2.5 litre and 3 litre engine variants, the X-Type has rapidly established a presence in those sectors of the compact premium saloon market in which it competes. In the UK, for example, the X-Type takes 65 per cent of its market segment and in Italy the car has 60 per cent of its segment. "We expect to see further growth in our sales during 2002 as the new 2 litre version of the X-Type and the new and extended S-Type range go on sale." Jaguar's S-Type range has now been extended to seven models with the addition of three new 2.5 litre V6 engined variants, a 4.2 litre normally aspirated V8 powered version and the range-topping 4.2 litre supercharged S-Type R. The S-Type R, which develops 400 bhp, is the most powerful saloon ever produced by Jaguar. All versions of the new S-Type range feature a completely redesigned interior, class leading occupant safety systems and new front and extensively redesigned rear suspensions. A new six-speed ZF automatic transmission � an industry first in the S-Type's sector � is available across the full S-Type range. A total of 135,000 S-Types have been sold since the car was launched in 1999 � making it the fastest selling Jaguar in the company's history.